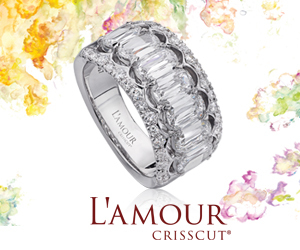 San Antonio, TX—When Tara Hutchinson was a little girl, becoming a jeweler was the last thing on her mind. Instead, the Anchorage, AK native who often played “army” with her older brother later enlisted in the U.S. Army for real. 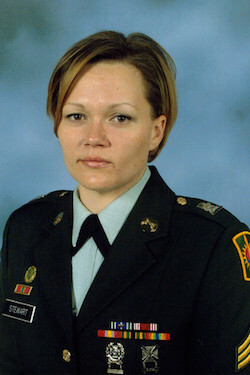 She spent 10 years as a military police officer, and eventually was deployed to Iraq. Left, Tara Hutchinson at work at her bench. Everything changed on Valentine’s Day of 2006. Instead of getting paper hearts and chocolate, Hutchinson got caught in an insurgent attack. She lost her leg that day, and also sustained third degree burns, back injuries, and traumatic brain injury from the excessive blood loss. Her motor skills were almost destroyed as a result. Not surprisingly, the combination of her physical injuries, loss of mobility, and PTSD later drove Hutchinson into deep depression. But when her occupational therapist suggested she find a hobby that would help redevelop her fine motor skills, Hutchinson decided to learn how to make jewelry. At first she could barely string a large bead onto a leather cord, but within a year of working diligently at her skills, her movement disorder was barely discernable. Tara Hutchinson was a military police officer before sustaining a devastating injury from an insurgent attack in Iraq. Since then, her jewelry hobby has turned into both a passion and a business. 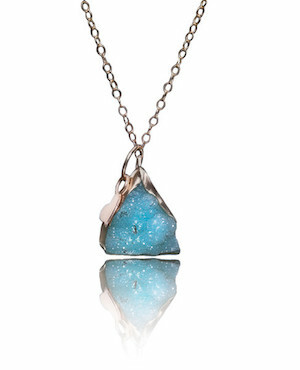 Hutchinson uses precious metals and a variety of gemstones to create handcrafted, slightly edgy, one-of-a-kind pieces that appeal to self-purchasing women. Most of her price points are under $1,000—with many under $500—but she has a few signature pieces that top $2,000. “I totally design around the stones,” Hutchinson told The Centurion. “My gemstones are my inspiration, and I have an insane collection of them, which is why I’ve never gone to the Tucson gem shows because I’d come back penniless with a car weighed down with stones! 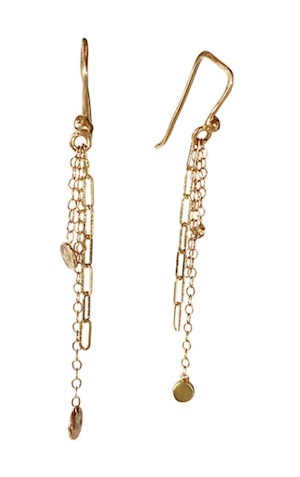 Left: “Jordan” earrings in 14k rose, yellow, and green gold ($259); right, hemimorphite druzy necklace in 14k rose gold ($875), both by Tara Hutchinson. Hutchinson doesn’t currently wholesale but she is open to it. “I’ve always known I have an important lesson in my story to share with others, and want to find ways to keep doing it,” she said. Her story has been shared in the media in Women’s World and Cosmopolitan magazines and on CNN and the Dr. Oz Show. Her jewelry is sold nationwide on Etsy and on her own website, tarahutchjewelry.com. 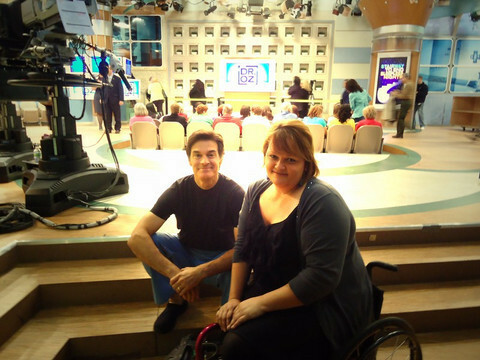 Hutchinson and Dr. Oz on the set of his television show in 2011. 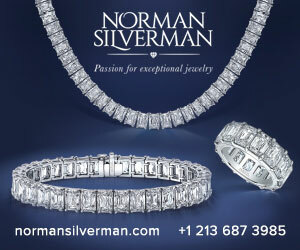 Jewelry Consumer News recently interviewed Hutchinson. Watch her inspiring interview here, followed by the story of a St. Louis couple who combed through eight tons (!) of garbage to find a 12-carat engagement ring they’d accidentally lost in their kitchen trash.